The Iranian Navy’s 50th flotilla of warships berthed at Sri Lanka’s port of Colombo on Friday morning. 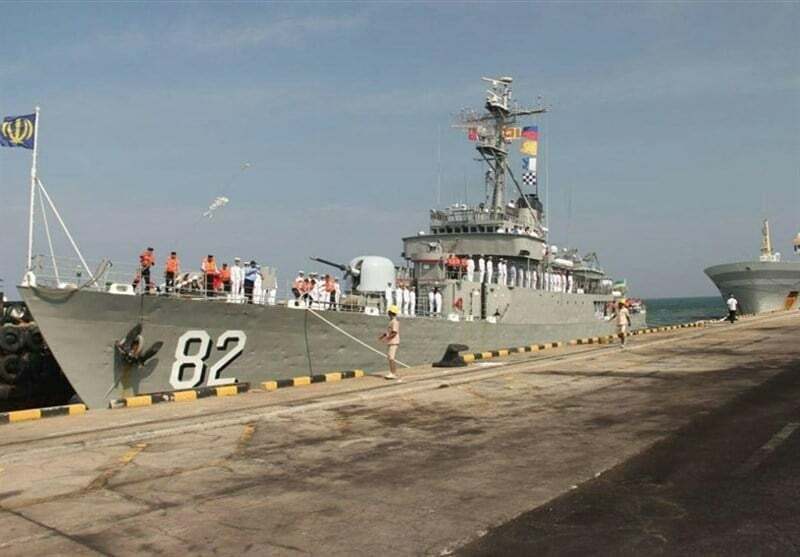 According to the Navy’s public relations office, the operational-training naval fleet, comprising Shahid Naghdi and Bayandor destroyers and Tonb logistic-combat warship, has travelled to Sri Lanka to convey the message of peace and friendship and enhance the relations between the two countries. During their stay in Colombo, the commanders of the flotilla are planned to meet with senior Sri Lankan military officials. There will also be visits to a number of military centers as well as cultural and historical sites. In recent years, Iran’s naval forces have increased their presence in international waters to secure naval routes and protect merchant vessels and oil tankers against pirates.